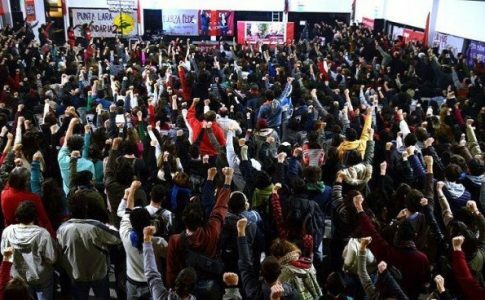 After intense negotiations, the forces in the Left and Workers’ Front reached an agreement to present a unified ticket throughout the country. On the last day before the legal deadline, the political parties forming the Left and Workers’ Front (Left Front or FIT) settled the distribution of candidates and struck an agreement unifying the electoral coalition. 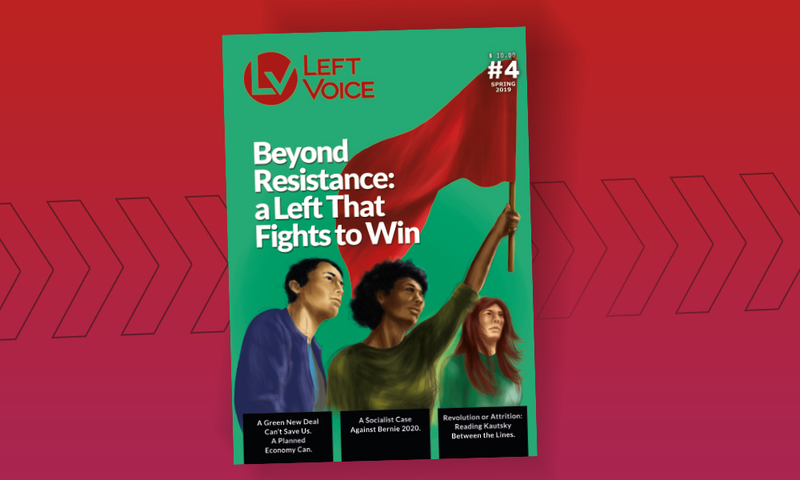 In the midst of Macri’s government’s austerity attacks and the failure of Kirchnerism to provide a consistent opposition, the left arrives strengthened to the coming midterm elections. From his first days in office, president Mauricio Macri has made it clear that he rules for the businessmen: cuts in public spending, mass layoffs and repression of social protests are integral parts of his reactionary recipe. 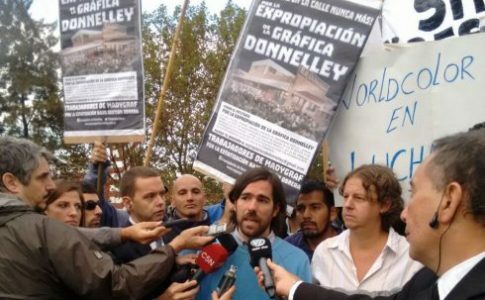 (Kirchnerist claims to leading the “resistance” against Macri’s program showed to be a farce within months, when several MP’s of the Victory Front (Kirchnerism) began lending support to Macri’s government in passing vital legislations. 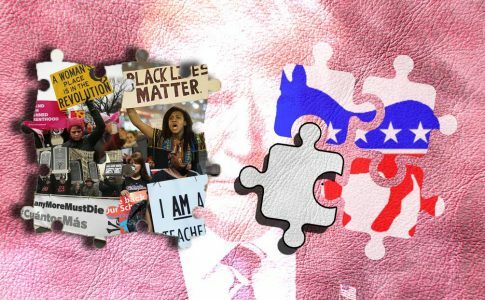 In this fragmented electoral landscape, the Left prepares itself for a militant electoral campaign that could offer a stage for workers’ demands and socialist politics. The discussions around what positions in the ticket should be allotted to each party/candidate ensued in a heated debate between the Partido Obrero (PO) and the Partido de los Trabajadores Socialistas (PTS). The main point of contention was the first candidate for National Congress (Chamber of Deputies – lower chamber) for the Province of Buenos Aires, home for 15.6 million people (39% of the country). 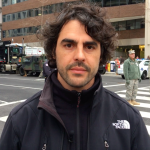 The PTS argued that Nicolás del Caño, presidential candidate for the Left Front in 2015, should head the ballot in Buenos Aires, since he is by far the most popular figure of the Left Front. PO pushed for Néstor Pitrola, PO’s main public figure, to be the first candidate in Buenos Aires, arguing that del Caño should run for the Province of Mendoza, as he did in 2013. The standstill in the negotiations seemed to forecast a contentious primary between the forces of the Left Front, and even raised the possibility of a rupture of the electoral coalition altogether. After weeks of intense debates, the PO accepted that Nicolás del Caño head the slate in the Province of Buenos Aires. The list of candidates for the City of Buenos Aires will be headed by PTS member Myriam Bregman. In other provinces and districts, the main positions will be distributed among the forces according to the results of the primary elections in 2015. Since the electoral reform implemented by the Kirchners in 2009, every election consists of two voting days separated by roughly two months. In the first one–called open compulsory primaries–voters choose between the different slates running on the party ballot of their preference. Oftentimes parties or electoral coalitions present only one slate–such the case of the Left Front for these elections–but voting is compulsory nevertheless. Furthermore, the ticket (or the sum of all different slates running within an electoral force) needs to receive at least 1.5% of the valid votes in the given electoral district (whether at local, provincial or national level) to qualify for the general elections. As a result, several smaller parties are completely excluded from the second round, the general elections, for not reaching this benchmark. The distribution of seats in National Congress, provincial legislatures and local councils is determined by the results in the general elections. 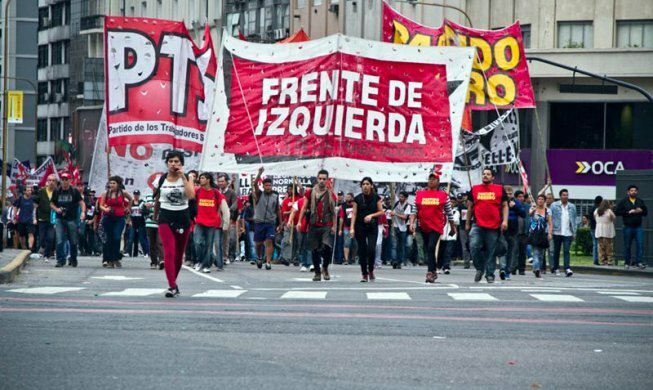 In the run-up to the presidential elections in 2015, a similar struggle regarding the distribution of positions in the ballot within the Left Front took place. Really, what lies behind these debates is the relation of forces among the three parties that make up the FIT: the PTS, the PO and Izquierda Socialista (IS). Since the Left Front was first constituted in 2011, the positions in the ballot were agreed upon and a unique ticket was presented in 2011 and 2013. In 2015, however, no agreement was reached. The PO had held a prominent role in the FIT as a result of its historical superiority with regards to the other two forces in terms of number of members, mobilization capacity and visibility of its public figures. But by 2015, the growth of the PTS had virtually eliminated the difference in numbers and visibility. A succession of high-profile workers’ struggles–such us the one at Lear, the takeover of Donnelley and many others– and some important electoral successes had catapulted the PTS and its public figures to an unprecedented level. PO and IS insisted to keep terms in the agreement that were greatly unfavorable to the PTS and didn’t reflect the real balance of forces within the FIT. The dispute was then settled through the primaries. The Left Front presented two tickets: one slate with the candidates of the PTS and one slate with the candidates of PO and IS. 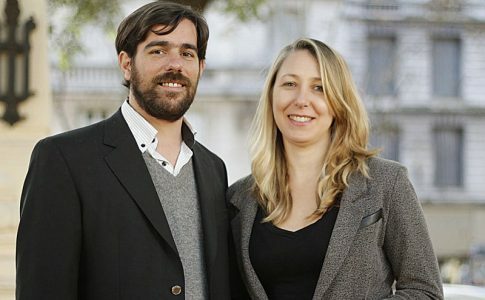 The results of the 2015 primary elections showed the PTS, in the figures of Nicolás del Caño and Myriam Bregman, as the leading force within the Left Front, obtaining a majority at a national level against the PO and IS together and dominating in most of the important provinces and local districts. The PO/IS maintained a leading position in the provinces of Buenos Aires (PO) and Córdoba (IS). In the coming elections, as it has been established from the beginning, each of the seats obtained by the Left Front will be occupied successively by the three forces, distributing the time (usually a 4-year term) in accordance to the percentage of votes obtained by each force in the 2015 primary elections. For example, in the City of Buenos Aires, where the PTS obtained 43% of the vote in the 2015 primaries, Myriam Bregman will take the seat for the first months corresponding to 43% of the term, while the remaining time will be distributed between the PO and IS. The open primaries will take place August 13, and the general elections will be held in October 22. A third of the seats in the national Senate and almost half of the lower house (Cámara de Diputados) will be renewed. As an anticipation to this year’s electoral season, the PTS launched a campaign for 6hs workday, 5 days a week. 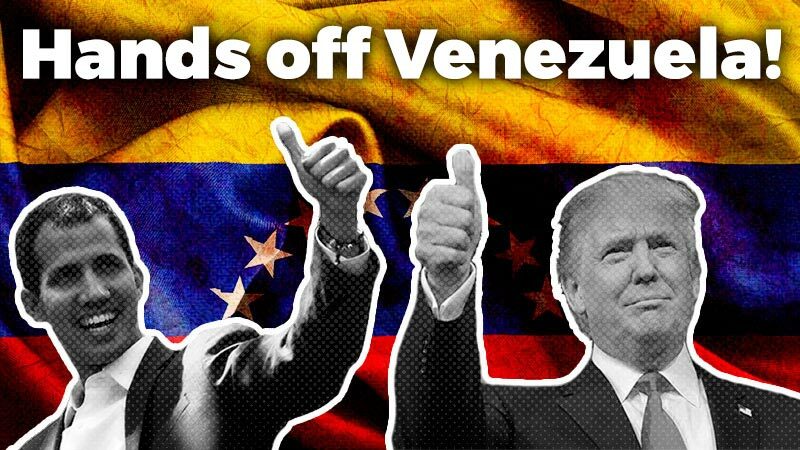 In the next few weeks, a set of new campaign videos will be made by the three political forces and broadcasted on air and cable-TV, public radios and internet ads.